For the first summer in Rivertree history, we will have our very own Gaga Ball Pit at the Treehouse. 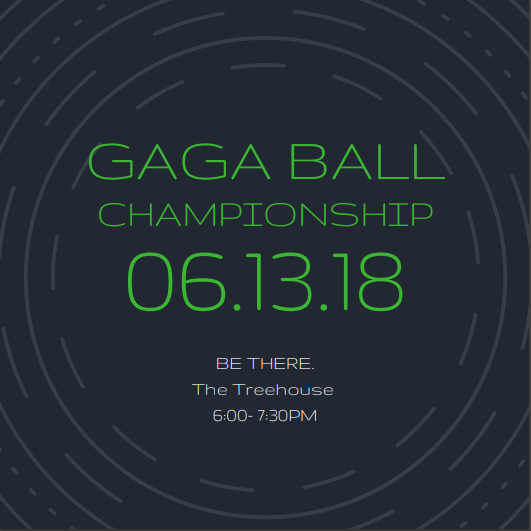 We are breaking in the new pit with a Gaga Ball Championship from 6-7:30 on June 13. See you there!